Despite rumours about a discontinuation, the Saipa Pride is back to #1 in Iran. Thanks to our partnership with CE Auto we can share with you exclusive detail on the Iranian new car market with updates on both local production and imports over the Third Quarter of 2018. In fact, this period covers the 2nd Quarter of the Persian Year 1397, roughly corresponding to Q3 in the Western calendar. After an alert in June (-20.9%), Iran production of light vehicles is now feeling the full brunt of the return of international sanctions with Q3 figures down an abysmal 35.7% to 242.698 units. Worse, the situation has significantly degraded over the period, wth July production down 24.1% to 129.158, August down 38.2% to 143.518 and September down 53.3% to just 55.975, auguring for an extremely difficult end of 2018 indeed. As a result, whereas H1 data was holding strong (+7.8%) the YTD production has now tilted into negative at -6.4% to 994.861 vs. 1.062.984 a year ago. An estimated 95% to 98% of the local production is sold in Iran, meaning the production rankings give a very close picture of what the best-sellers in the country are. Logically, at just 6.017 units vs. 19.899 over Q3 2017, imports are the hardest hit by the return of international sanctions, imploding down 69.8% and pulling the YTD tally down 62.3% to 25.513 vs. 67.745. 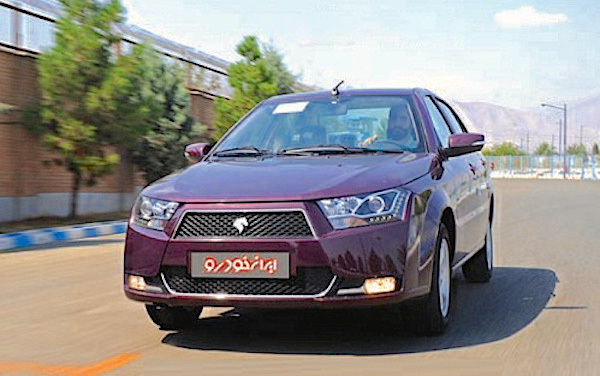 Iran Khodro Dena production is up 5% year-on-year. In the locally produced brands ranking, Saipa (-34%) confirms its return to the top and manages to fall sightly slower than the market but its 28.9% share is below its YTD level of 30.1%. Peugeot (-40%) follows in 2nd place at 27.4%, the two brands accounting for a whopping 56.3% of the Iranian production over the period and 58.4% so far this year. Keep in mind Peugeots are produced under license by Iran Khodro and therefore won’t see their figures halt despite the sanctions, as these aren’t accounted for in PSA P&L. Production of Iran Khodro-branded vehicles (all based on Peugeot platforms) is down a moderate 25% to hold a strong #3 spot nation-wide with 10.7% share. Renault (-70%) is a different story and will likely see its production come to an end in the next year or so due to the international sanctions. This is benefiting Chery (-31%) up to 4th place overall with 5% share of the Iranian production in Q3. 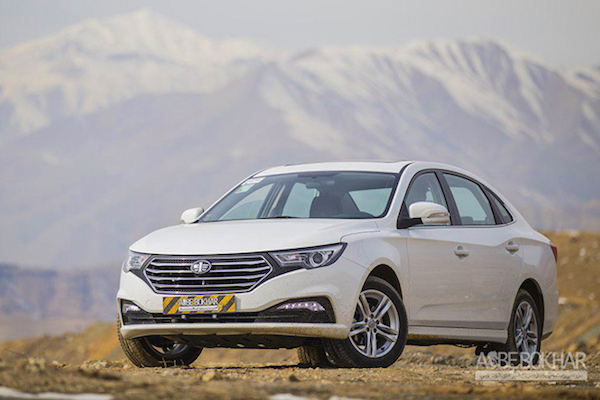 In fact, aside from Hyundai (+285%), Chinese carmakers producing in Iran are the only ones posting gains: FAW (+4073%), MG (+2259%), JAC (+44%), Changan (+27%), Brilliance (+9%) and Haima (+4%) all impress, lifting the Chinese share of the Iranian production to 20.7% vs. just 13.8% a year ago and 16.9% so far in 2018. Out of 30 brands produced in Iran, 19 are Chinese. Chery is the 4th most popular brand in Iran, overtaking Renault. Model-wise, the Saipa Pride (-45%) manages to reclaim the lead of local production off the Sapa Tiba/Saina (-17%) for 113 small units at 33.057 vs. 32.944. This is surprising as the Iranian government pledged to stop production of the 1986 model by the end of the year. Keep in mind this is a 1986 Kia Pride. The Tiba/Saina duo remains however #1 so far this year at 143.299 (+36%) vs. 140.687 (-24%) for the Pride, thanks to the recent introduction of the Saina yet Saipa isn’t willing to share separate nameplate figures, which should inflate further in 2019 once the Saina hatch gets started. The Peugeot 206 (-30%) resists relatively well in context, distancing its stablemates the Peugeot Pars (-39%) and 405 (-55%) while the Iran Khodro Samand (-55%) crumbles just as the Dena (+5%) steps up. Both the Renault Tondar 90 (-78%) and Sandero (-54%) implode to round up the Top 10 where there is one Cheese: the Brilliance H300 (+10%). The FAW Besturn B30 (+7486%), Chery Tiggo 7 (+205%) and Changan CS35 (+27%) lead the Chinese nameplate charge while the JAC S3 and MG 360 both land directly in the Top 20. Over in the pick-up aisle, the Zamyad Z24 (-35%) remains comfortably in pole position ahead of the Saipa 151 (-42%) and Bahman Cara (-49%) while the Iran Khodro Arisun (-16%) just cannot take off and the Dongfeng Rich (-31%) is #1 Chinese. 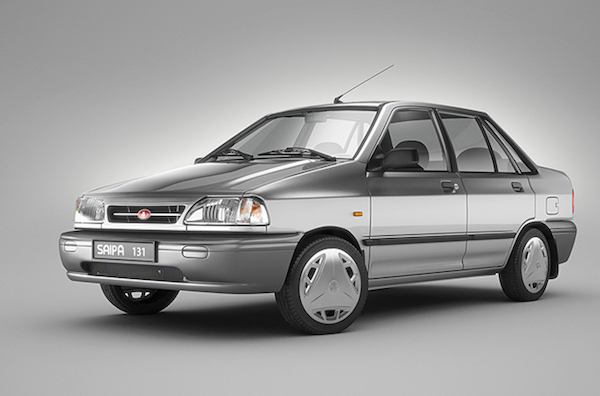 The FAW Besturn B30 has found a receptive market in Iran. In a totally depleted import market, Hyundai (-59%) holds onto the top spot ahead of Toyota (-22%) while Volkswagen, a newcomer for 2018, steps onto the podium followed by Kia (-18%), Nissan (-74%) and Renault (-96%). Mercedes (+209%) and DS (+65%), both ranking outside the Full Year 2017, make their entrance among Iran’s ten favourite imported carmakers. Model-wise, the VW Passat storms into the pole position for Q3, a success that is likely to be short-lived as Volkswagen stops imports to the country due to sanctions. 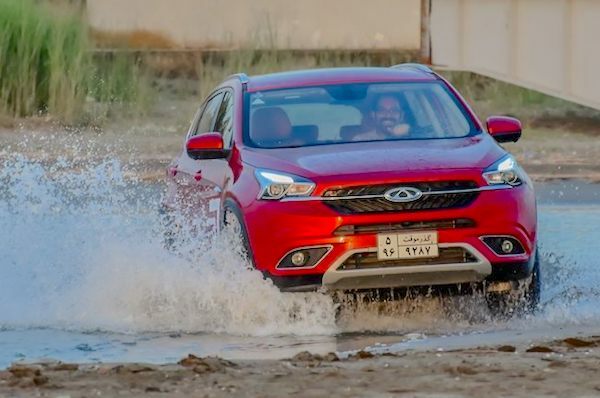 The Hyundai Santa Fe (-43%) is knocked down to 2nd place but remains by far the most popular import in Iran this year, even edging up 1% YoY to over 4.000 units whereas the Passat at #2 only manages 1.645. The Nissan Juke (-36%), Toyota Prius (+403%) and Hyundai Elantra (-15%) round up the Top 5 ahead of the Ka Sorento (+57%) and Hyundai Tucson (-78%). Full Q3 2018 Top 15 local brands, cars, Top 10 pickups, imported brands and models below.